When you place a new Custom Task Process action in Microsoft SharePoint designer workflow, it gives you a configuration page to set the Title, CC, description, Due Date and some other related fields of tasks. You have to select a number of days (for example 3) for all of your tasks to set due date and it is not possible to individually change the due date of a single task. But in real world examples, it is likely that each stage of the workflow needs its own due date and it is kind of hard to set a general due date for all tasks in a custom task process. In this post I want to introduce a technique for you to set the due date of tasks individually in custom task process of SharePoint designer workflow. First of all, you have to track in which stage your workflow is. To track the stage of your Custom Task Process workflow in SharePoint designer, I introduce a technique in this post. Please read that post first in order to get yourself familiar with the technique. 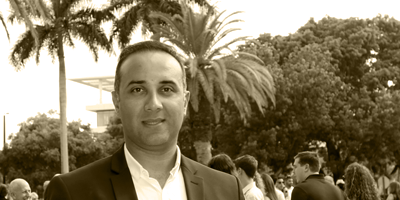 The basic idea is to create a local workflow variable in SharePoint workflow designer and change the value of the local variable after each stage. We use Microsoft SharePoint designer 2013 and SharePoint online to develop the workflow of this post. Also we use the SharePoint 2010 workflow engine in order to develop custom task process workflow. So, we have a varStage variable to store the stage of the workflow. We can use this local variable in order to set the custom due date for individual tasks in your custom task process. 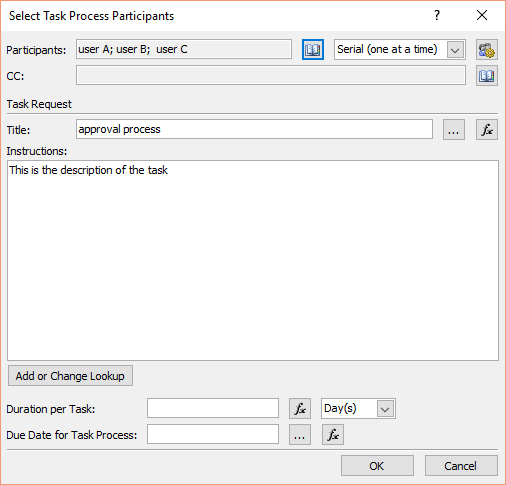 First you have to go to the custom task process customization page and click on the change the behavior of the single task. Then point to the “Before a Task in Assigned” section. 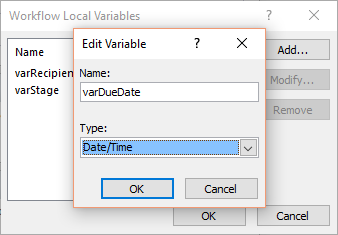 Then you have to create a local variable and set the value of that local variable to reflect your due date needs. Then you can set the due date of your task to the calculated workflow local variable. So by this technique, you can individually set the due date of your tasks in custom task process of SharePoint designer workflow. I set a worklow on my tasks list, I open the behavior of the task (expire section), retention policy, but I don’t find the good solution to update the outcome value as “Approved” like if I clicked on the button “Approve” in the task screen. Your help and experience would help me greatly. You may be able to set the outcome of the task before the “Rescind” I did not try it yet, but give it a shot! I just want to go to the next step of the approval, you know what I mean ? in parallel to that I try to change the due date. I entered the number 5 in the field “duration per task” based on the date of today or the date of creation but it does not work either. It is not possible to go to the next level of your workflow while you did nothing for the current level. for your due date problem, what do you mean by it does not work. do you mean the field is not set in your task item? If you want to do something to the task after it is past due date, you have to explicitly set it in your workflow! I am trying to configure a workflow to send email task for approval with a Due Date. Let me explain the case first: When a condition is met, a task has to be assigned, then due date has to be set to 3 days from today. Everyday an email reminder should be sent to the user. If the user not respond/complete within the due date then the task should be escalated to his manager or any other person. Once the task is sent to the user manager (or other person) then again a due date has to be set to that task of 7 days. If the manager not approves the task within 7 days then it should be automatically approved. Secondly, the task is not getting started automatically when an item is changed (even if the setting is configured). Can you please help with solution please? Can these custom made task fileds made un edit-able. i dont want my these custom task fileds can be edit by approver in the task form.